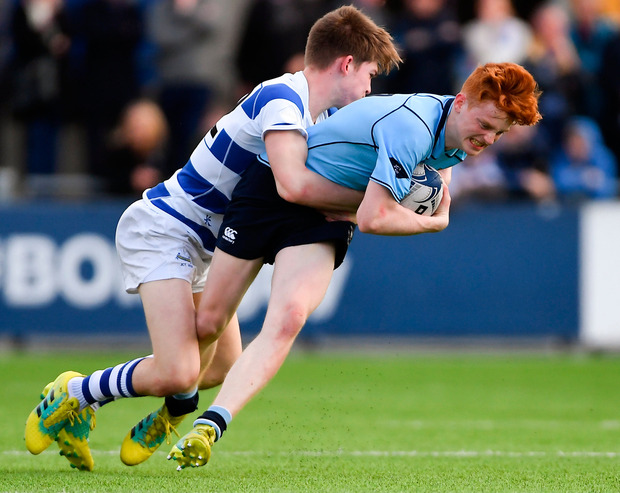 From there, Blackrock's pack made its presence felt in controlling the pace of the game with half-backs Will Fitzgerald and Zach Quirke in control. They hit back with a 20-metre maul that ended with flanker Liam Molony peeling away for the equaliser, Quirke converting. However, the energy levels there in the first half seeped away as St Michael's struggled for the territory they so badly needed. They got a boost from lock Michael Sadlier's burst up the middle, centre Sam Berman's thrust and Zach Baird's try for Gunne's extras to make it 19-12 in the 46th minute. They began to wear down 'Rock's bigger pack and fluidity became a friend, prop Seán Egan driving to the line and Gunne converting in the 57th minute. They wasted no time in bouncing back into attack for replacement Fegan to arrive late on the scene for a glorious try, Gunne's extras concluding a remarkable final. St Michael's - H McErlean (JP Tiernan 16); D Whelehan (C Foley 58), M Victory, S Berman, T Hurley; K McMahon, F Gunne; D Barron, M Sherwin, S Egan, M Sadlier, D Woods, D Carroll (D Fegan 46), J Brown, Z Baird (capt). Blackrock - R Moloney (C Leahy 7); C Ryan, H Cooney (M Caskey 46), F Mei, E Laing; Z Quirke, W Fitzgerald; C O'Brien (M le Bail 57), G Barron, P McCarthy, S Green, T Brigg, J McLoughlin (M Brophy 57), L Molony, G McCarthy (capt). 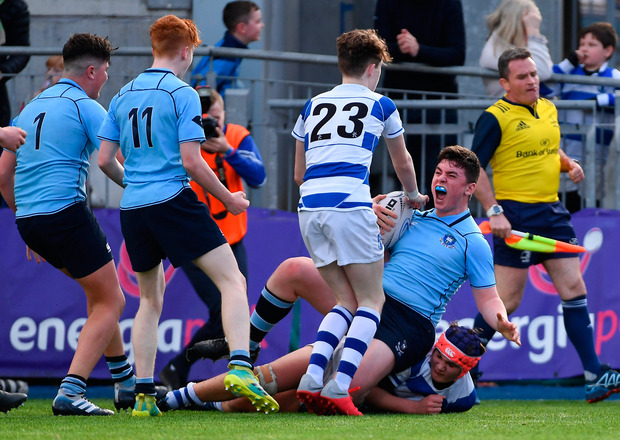 Des Berry St Michael’s came from nowhere to down Blackrock with two late tries by Seán Egan and David Fegan, claiming the Leinster Junior Cup in dramatic circumstances at Energia Park.